Fan, L., S. Lin, C.-W. Hsu, I.-T. Tseng, and K. M. Huang. Formation and preservation of authigenic pyrite in the methane dominated environment” Deep-Sea Research Part I, 2018 (8), 138, 60–71. Egger, M., N. Riedinger, J. M. Mogollon, and B. B. Jorgensen. 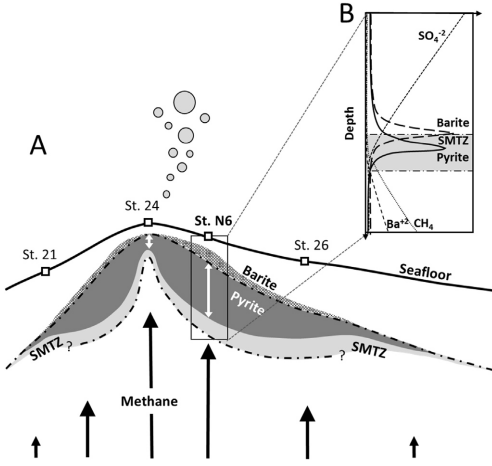 Global diffusive fluxes of methane in marine sediments. Nat. Geosci., 2018, 11, 421-425.